GMC Sierra represents the best and most advanced in pickup engineering. It does everything pickups have always done, only better, with a first-class capacity for hauling and towing. It rides and handles more like a car than any pickup ever did before. Inside, the Sierra is one of the most luxurious pickups we've ever driven, setting new standards for quietness, plush appointments, and solid construction. Of course, all of that is equally true of the Sierra's mechanical twin, the Chevrolet Silverado. What sets the Sierra apart is image, the intangible value of GMC's 100-year heritage of building trucks and only trucks. And even if Sierra and Silverado are clones under the skin, the GMC pickup presents a bolder face to the world. Sierra boasts its own grille, hood, fenders, fascia, bumpers and headlamps. Like the best GMC designs of the past, it looks a little sharper-dressed than its Chevrolet cousin. GMC also offers model and equipment variants that Chevrolet does not, including the 325-horsepower Sierra Denali with four-wheel steering; and the new business-oriented Professional, with unique interior equipment designed exclusively for the entrepreneur on the go. General Motors is the current leader in heavy-duty pickup trucks. GMC Sierra and Chevrolet Silverado heavy-duty trucks are more powerful and more comfortable than any heavy-duty trucks in history. They ride more smoothly and feel more refined than the current heavy-duty trucks from Ford and Dodge. 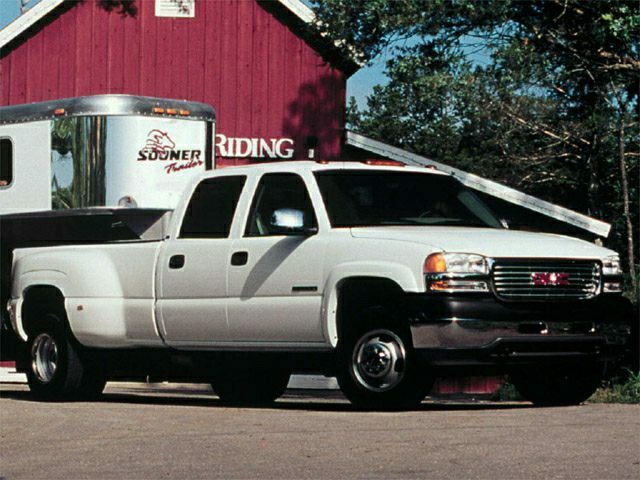 Completely re-engineered and redesigned for 2001, the GMC Sierra line is mechanically nearly identical to the Chevy Silverado line. However, there are some key differences. The Sierras are more stylish. Positioned as 'professional grade' trucks, the GMCs offer more features, more technology, and more luxury then the Chevys. These trucks can move mountains. GM says its 3500 series boasts the most power, the heftiest gross vehicle weight rating and the highest gross combined vehicle weight rating available.